Highlight the best of your community members by creating an unlimited number of Extended Profile (xProfile) Fields and/or groups of Extended Profile Fields custom-made for your social network. 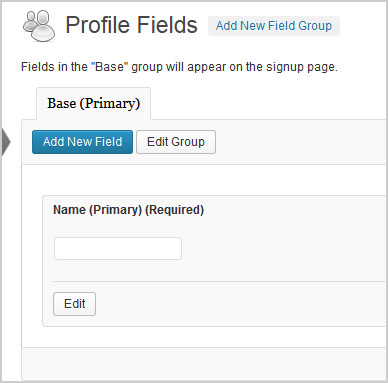 Fields in the “Base” (Primary) group will appear on the signup/register page. You can change the order by which xProfile Field/s show up in the Registration Form or in the Member’s Profile area by dragging the field up or down within the field group to the preferred location. You can change the order by which your xProfile Field Groups show up in Member’s Profile area by dragging the Group Tab to the left or right in Users > Profile Fields screen. Remember that only the Base (Primary) Field Group shows up in the Registration Form. 1. Click on the xProfile Field Group tab to open the panel where the xProfile Field you want to move is located. 2. 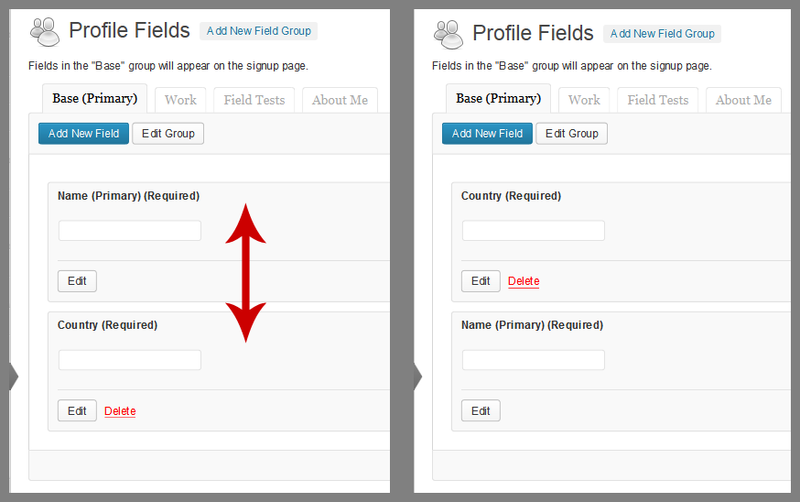 Drag that xProfile Field to the xProfile Field Group tab where you want to move the xProfile Field. 3. You can then rearrange the position of the xProfile Field in new field group by dragging up or down to where you want to position the xProfile Field within the new group.